Anniversary of the Fall of Fascism is one of the public holidays in the Republic of San Marino. This holiday is annually observed on July 28. Giuliano Gozi, a Sammarinese World War I veteran, founded the Sammarinise Fascist Party on August 10, 1922. The party was directly modelled from the National Fascist Party of Italy. Since Gozi came from a noble and rich family, that was holding the posts of Interior Minister and Foreign Minister, the party could control military and police. Gozi was elected as the first fascist Captain-Regent in 1923 and his party came to rule. 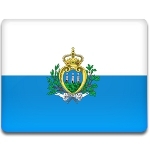 Captain-Regents are elected in San Marino every six months, that means, that the fascist party wouldn't rule any more after the next election. Gozi didn't let it happen by banning any other parties in the country. This ensured the fascist administration in the country, that lasted for 20 years. Anti-fascist movement started to form during World War II. The fascist regime in San Marino fell after arrest of Benito Mussolini, a new government was formed. Nowadays Anniversary of the Fall of Fascism is a national holiday in San Marino.